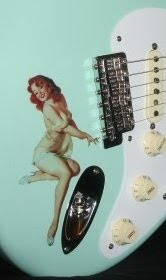 If you're lookin' for upgrade, repair or replacement bridge & trem parts, check out www.prorockgear.com. They stock hdwr kits and/or complete Floyd & Wilkinson units. They also stock EVH D-Tuna units and brass, steel or even tungsten trem blocks. Visit the above link or check out their eBay Store for in-stock, quick ship specials. AZ GUITAR PARTS - Another source for Bridges & good hardware.